The Bective is a relaxed, atmospheric restaurant in the heritage town of Kells. Open from Mondays to Saturdays from 5pm and from 3pm on Sundays, The Bective specialises in Irish beef and fish, with over 90% of food sourced within County Meath. The Bective has an outdoor seated terrace to the rear of the restaurant, including a children's play area. 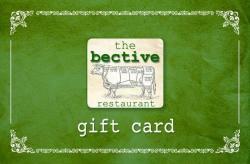 The Bective is a restaurant spread over two floors and with a relaxed atmosphere. The Upstairs Room is also available for private hire. It has its own bar and outdoor veranda and is an ideal area for group gatherings. Great food, value and friendly service are on offer at The Bective and a fantastic value Early Bird Menu is available all evening from Monday to Sunday nights (and from 5pm to 7pm on Saturday evenings). Did you know that all of our delicious food is also available to take away? Simply browse our menus, make your selection, then phone your order to us at 046 924 7780 and collect it at your convenience (please note that this service is not available during very busy evenings). 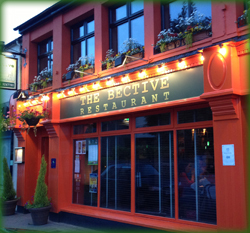 The Bective is a sister restaurant to The Central Bar, Restaurant & Cafe in Navan.